So pretty and Spring like! 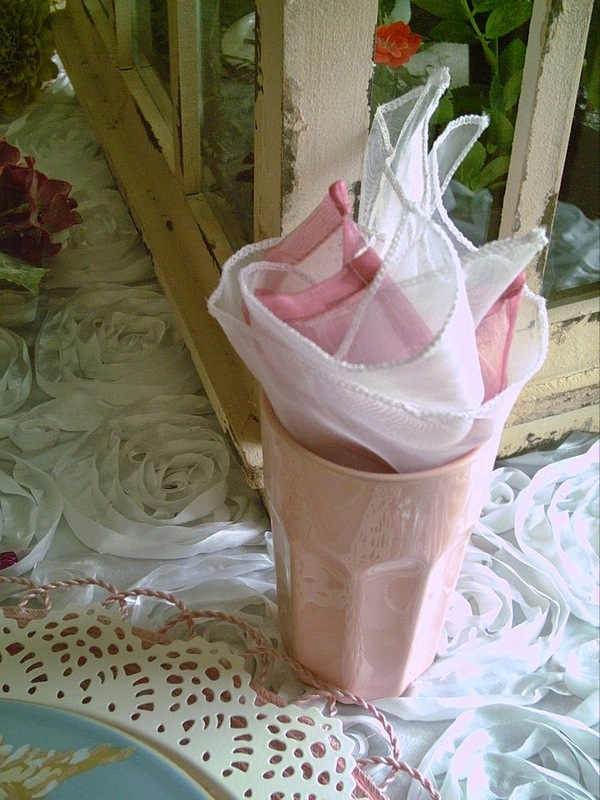 I love that soft pink flatware! Happy May! Next Wed is the challenge. Theme is GIRL'S NIGHT OUT. Hope you can join in! I love love love the birds, especially the blue bird. 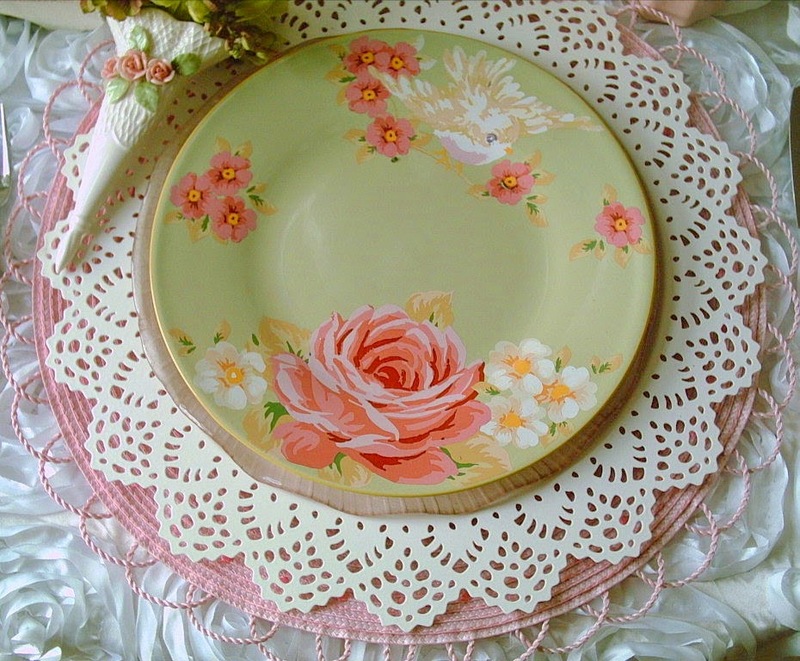 Placing them on the flowered plate makes them look as if they singing in a garden. I cannot believe that May Day is so close! Honestly, I wish it would become fashionable to celebrate holidays two months afterwards. I think this would give me enough time to plan. Your table is lovely. 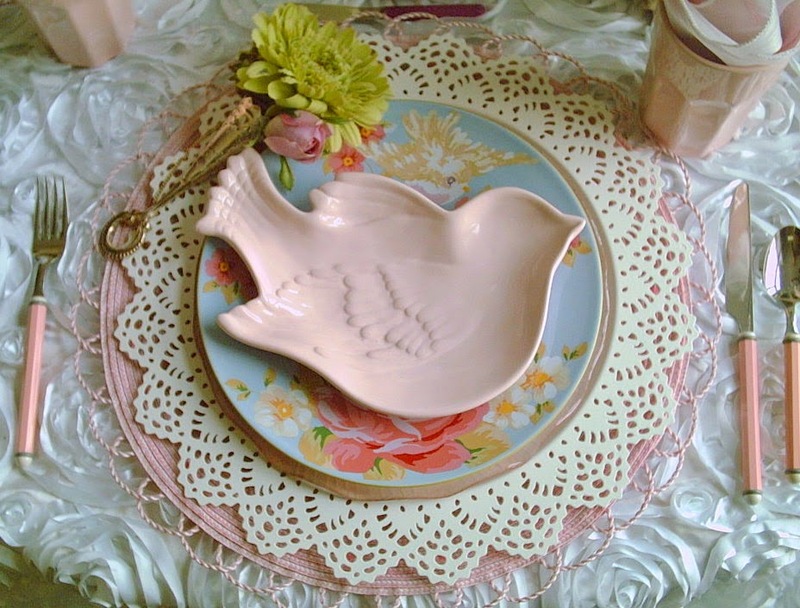 I particularly like those bird plates (I love shaped plates! 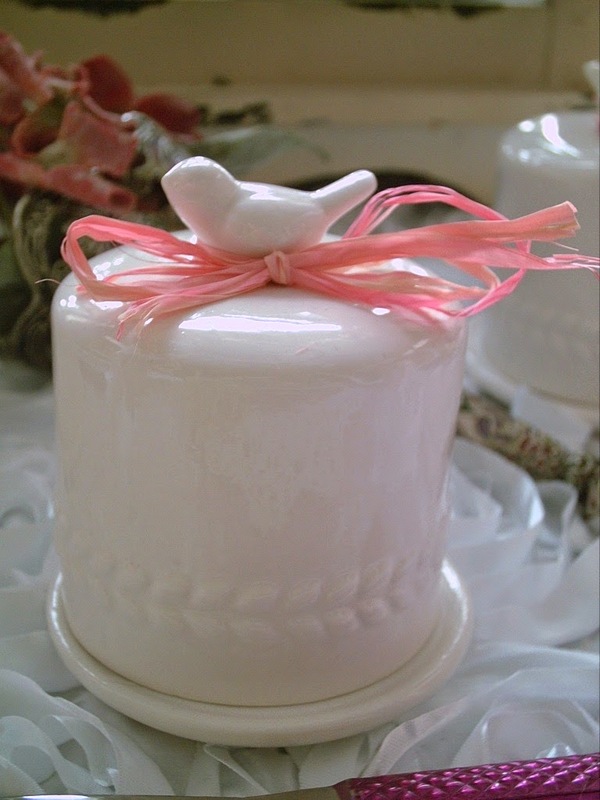 ), and those butter keepers! I want some of those! Valerie, This is just precious. 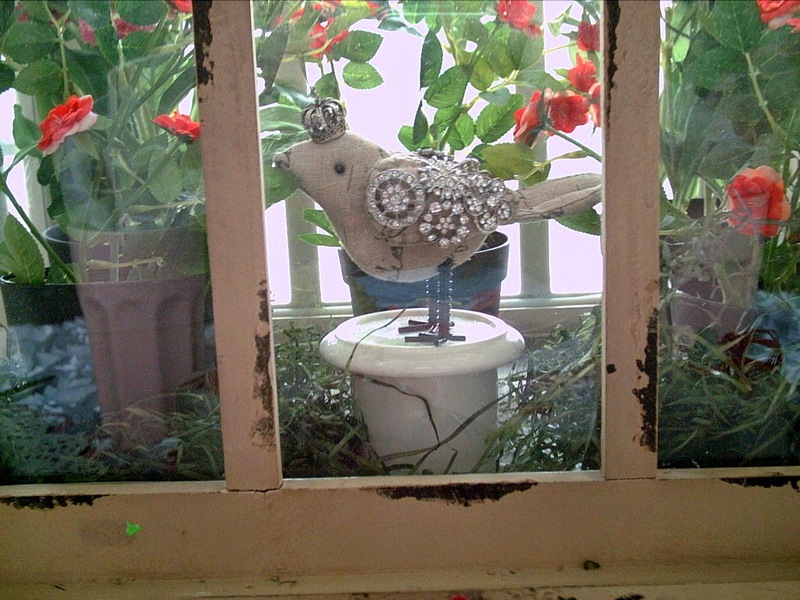 I love the bejeweled bird in the terrarium and the sweet bird salad plates on the lovely floral dinner plates. 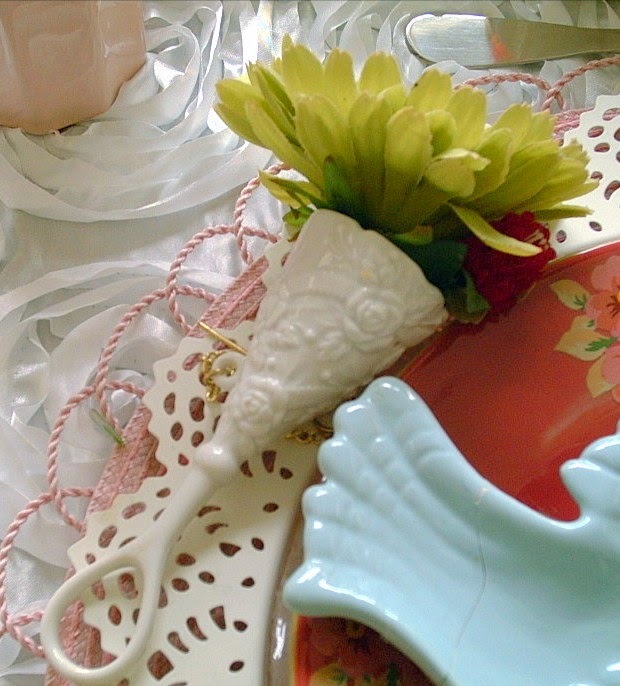 The Tussie Mussie's add a charming old fashioned touch to each place setting. The pink glasses (milk glass?) 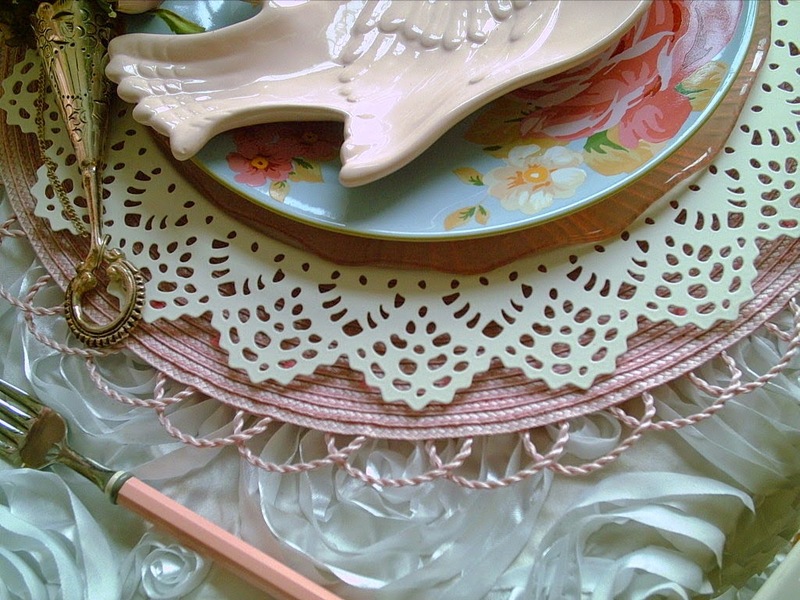 and the pink flatware are just perfect with the delicate pink placemats and the lacy edges of the chargers. Lovely, just lovely. 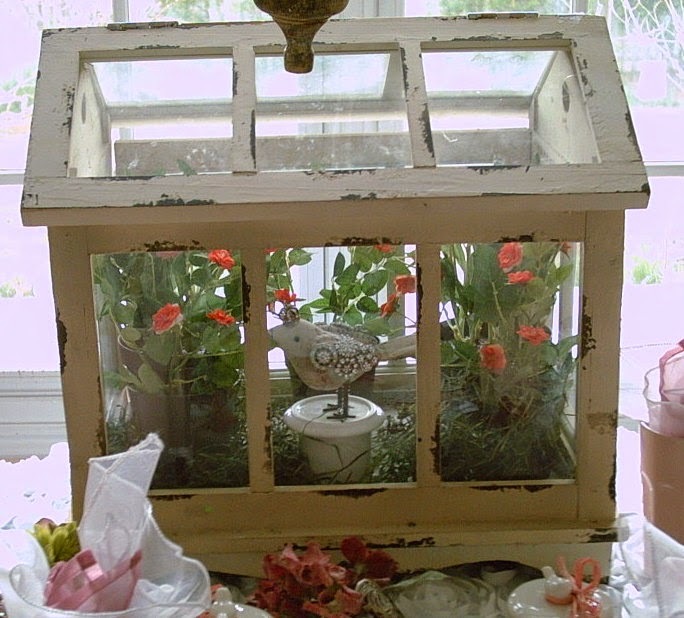 I know that Spring is here when the birds start waking me up at four in the morning chirping happily as they build the nests (usually in the tree beneath my bedroom window) that will be the home of their baby birds in a few short weeks. Luckily it has been to cold to open the windows and hear them (it snowed here again today). Thank you for introducing me to something really sweet. It really makes the setting especially old fashion and enduring. 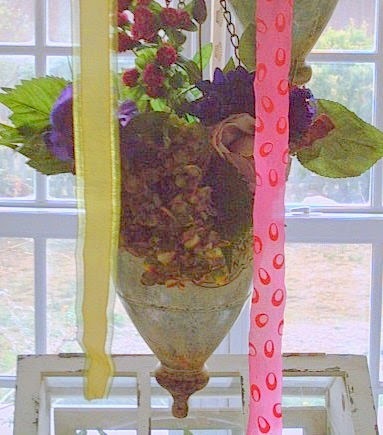 What a pretty, Spring table! 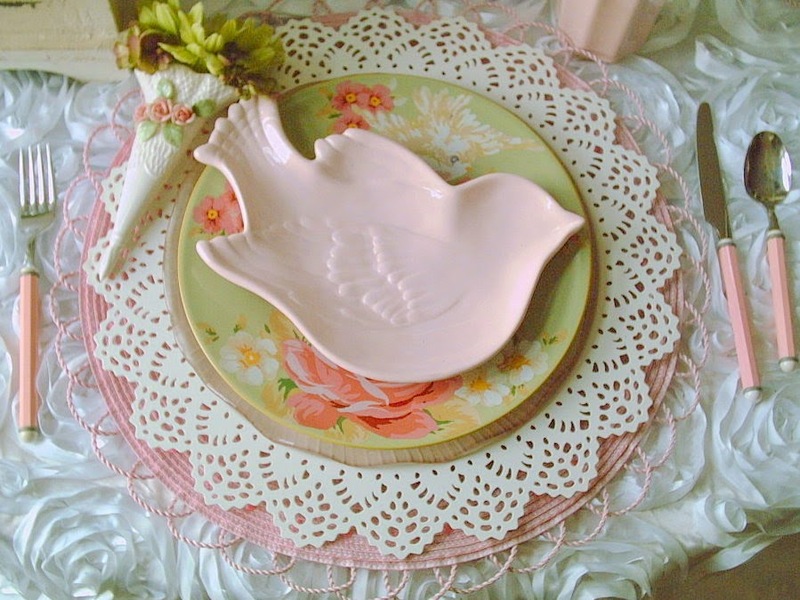 I love the bird plates and especially the flowered ones! 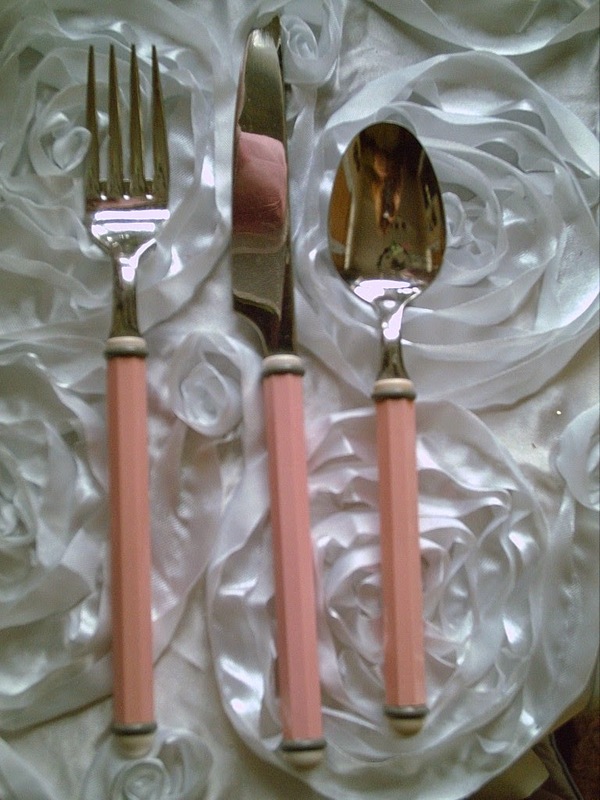 Where did you find the pink handled flatware? 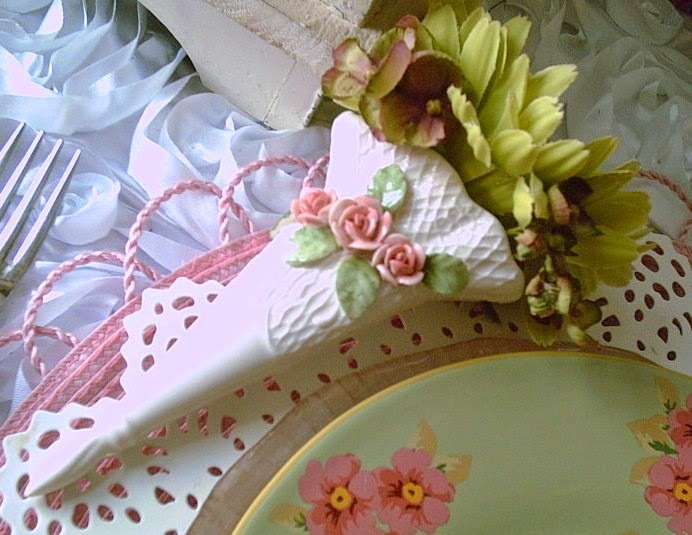 The tussie mussies are all so pretty too. Thanks so much for your visit. 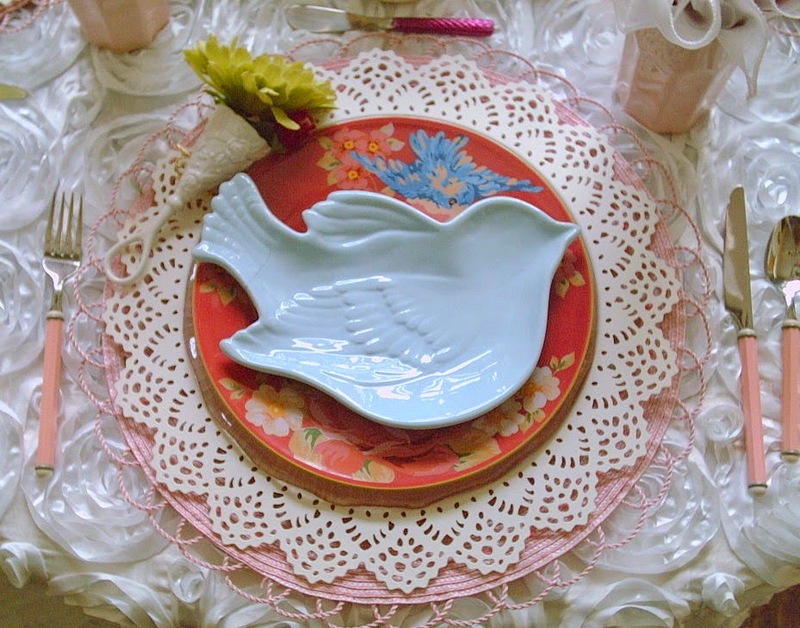 Did you get the bird plates at HomeGoods? 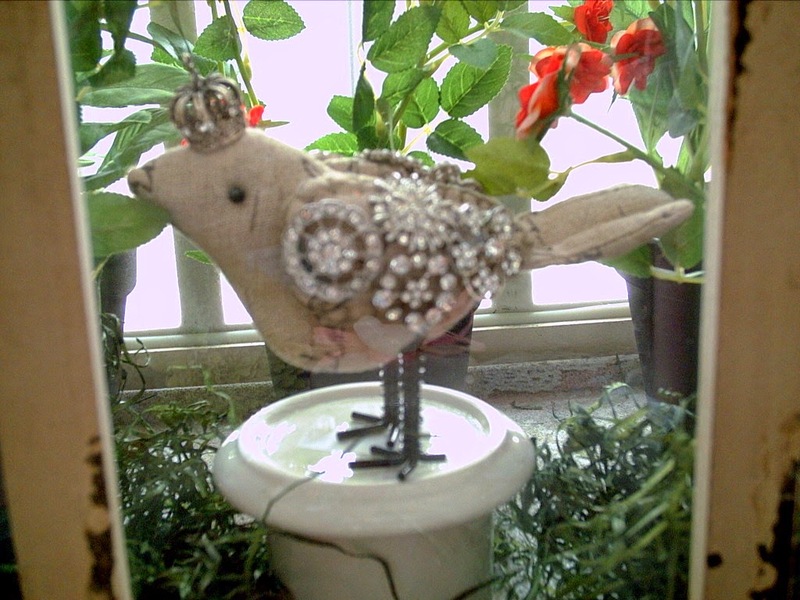 I have some white ones I got at Christmas that I consider white doves. The flower plates are great. 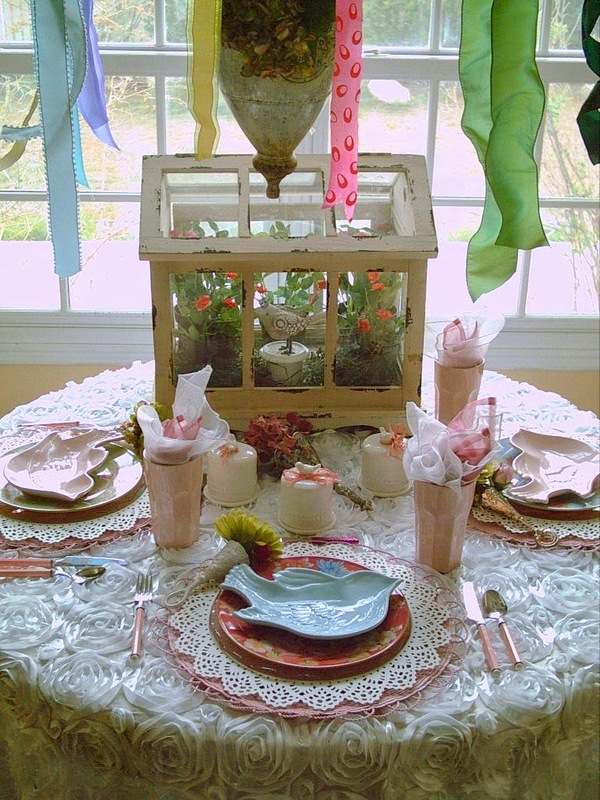 Dear Valerie I m in love with any and all tablescapes. Yours are so lovely. 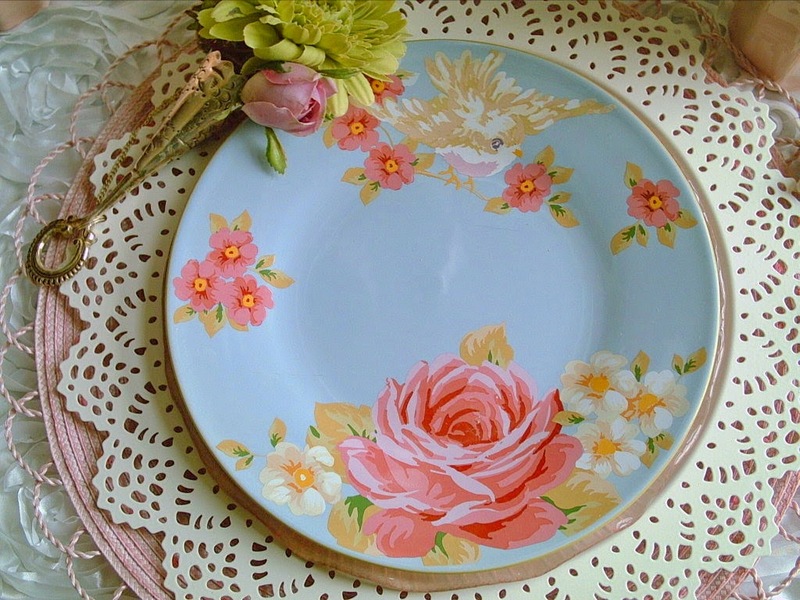 You really come up with beautiful dishes, tableware. 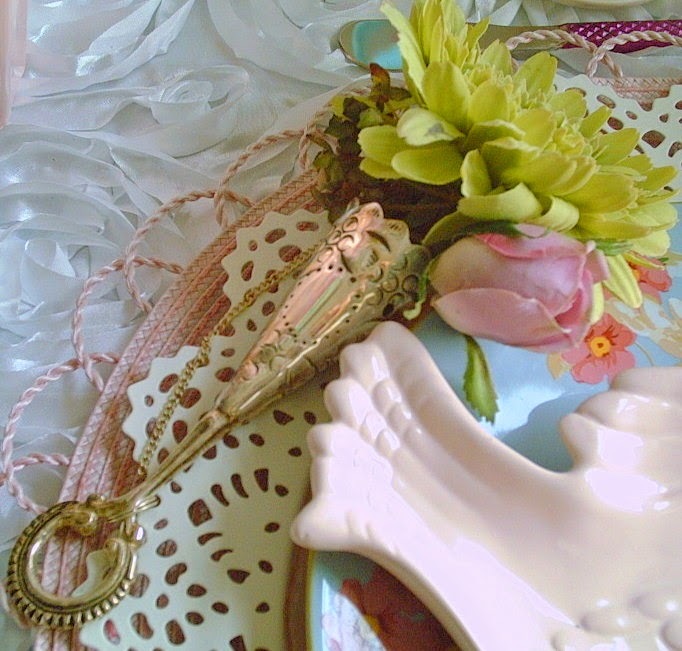 I have quite a few Tussie Mussie holders. I use them on one of my Christmas trees. I have a hard time locating them to collect. I was wanting to know where you found yours. I know when I ask for them most people don't know what I'm talking about. Any info would be appreciated. Thanks and kept doing what you do. Such a pretty table. 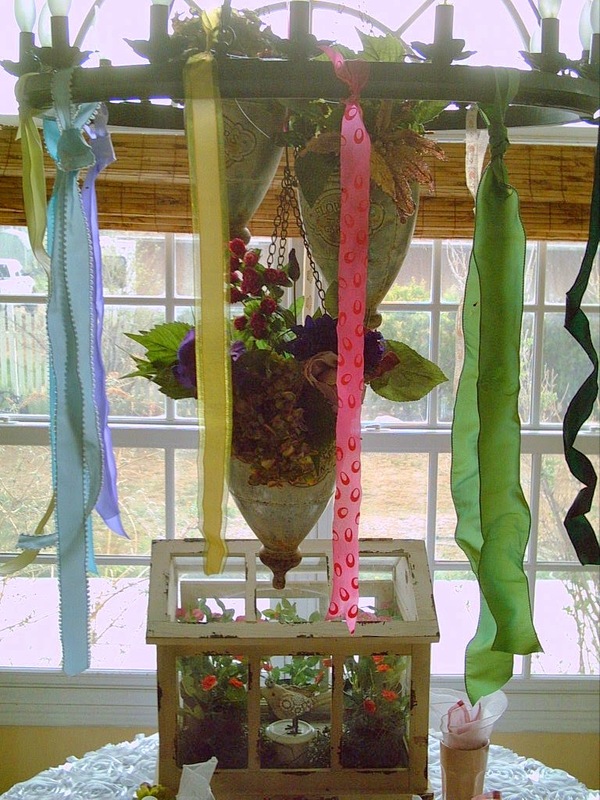 Did you read my introduction to the Celebrate Your Story Link Party this week...I was remembering those May Day flower gifts, too. 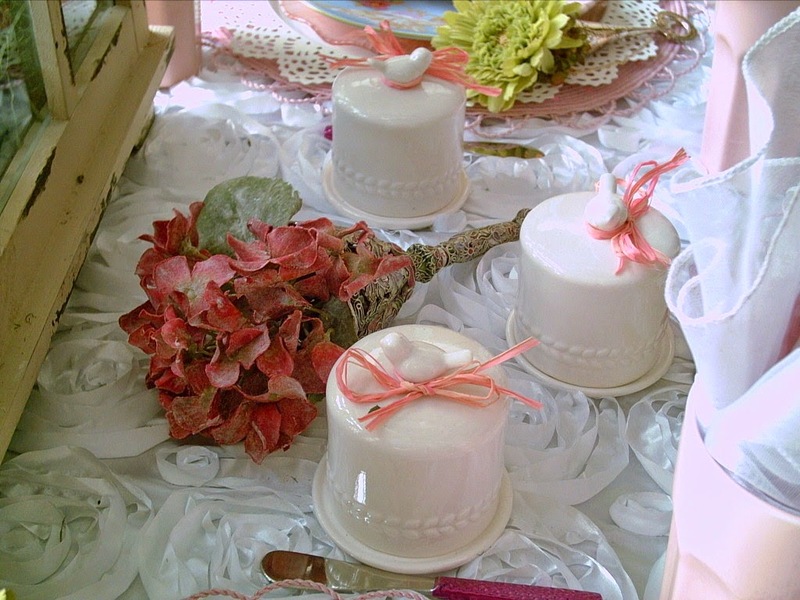 I love your Tussie Mussie holders, they make such a lovely addition to your pretty floral table! 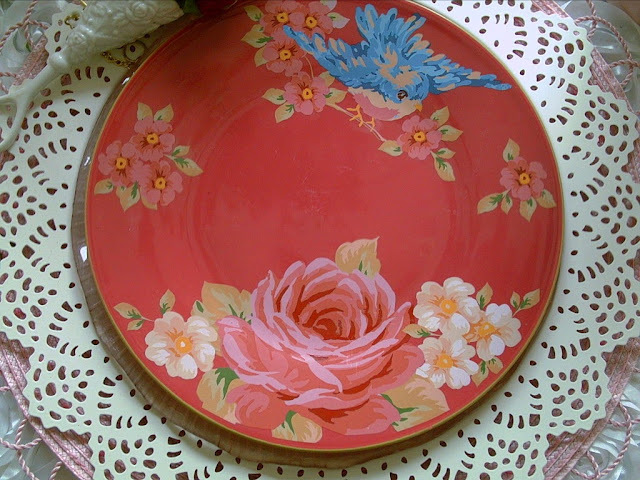 Thanks so much for sharing over at Celebrate and Decorate!